On Friday, March 23, Haverford’s Innovation Platform (HIP) held its first-ever Tri-Co speed dating and mocktail party. HIP was created during the 2016-2017 academic year in order to address concerns raised by both faculty and students about the difficulty of enacting meaningful change outside the classroom, and is now being headed by Victoria Merino ‘20, Noorie Chowdhury ‘21, and Mallory Kastner ‘21. The event began with speed dating, during which attendees, hailing from Haverford and Swarthmore, and HIP co-heads had the opportunity to sit down and talk to one another in a more intimate setting than during the cocktail party. Prompted with questions, though free to discuss whatever they wanted, participants were able to get to know other tri-co students they would not have had the chance to meet without HIP’s event. The speed dating portion of the event was followed by a mocktail party, which allowed those in attendance for speed dating and newcomers to mingle. The mocktail party featured cheese and crackers, non-alcoholic cocktails, and even a jazz band—The Bi-Co Jazz Kittens. The mocktail party had a much larger crowd and provided a space for students to make new connections in a casual and relaxed atmosphere. “I got so much out of the event, from new leads on environmental jobs to a renewed love for jazz to a new Whatsapp group chat with the new friends I made there,” Russell Nicholson ‘18 said. 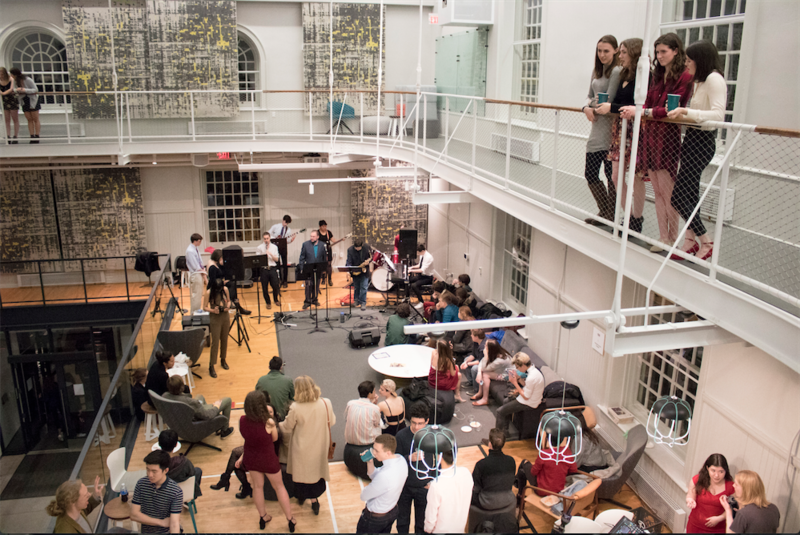 Though the mocktail party was well-attended, the group also hopes to increase attendance for future HIP events in order to provide a platform for innovation to an even larger fraction of the student body by collaborating with other organizations on campus. After a successful round of speed dating and mocktail party, the HIP co-heads hope to continue to host events like this as well as other events in the future. As HIP continues to grow, it hopes to hold more on and off-campus conferences, meetings, and workshops for students to attend.